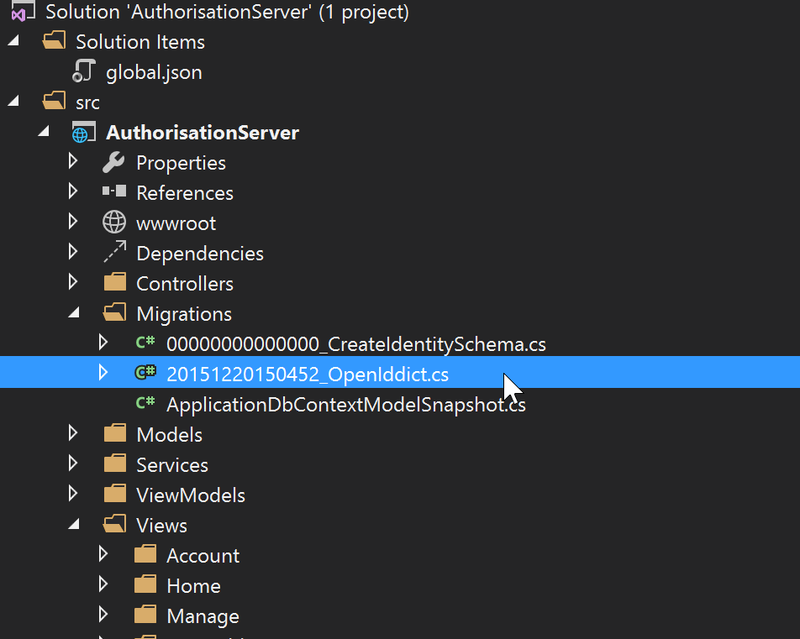 OpenIddict is a quick and easy way to get your web application talking to an authorisation server using OAuth. 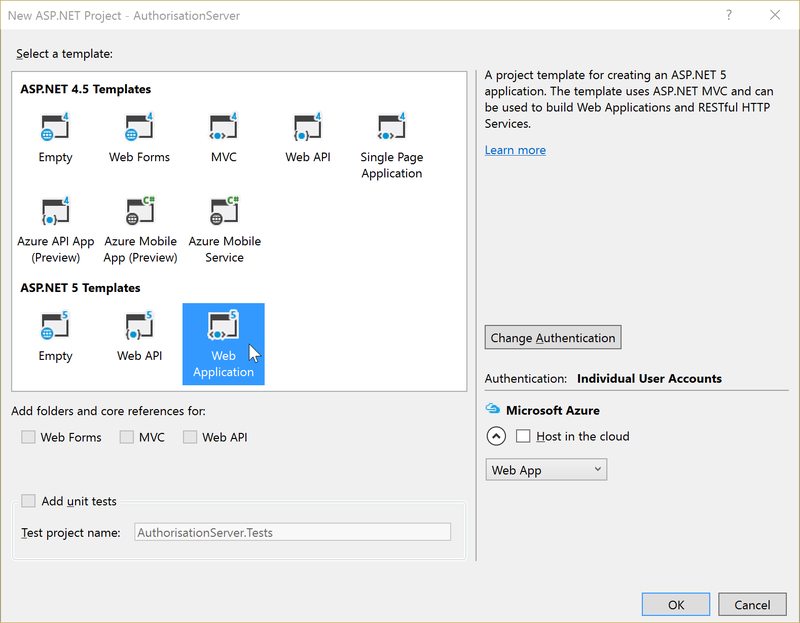 This article assumes you already know what it is, so I’m going to dive straight into talking about each step required to get your authorisation server up and running, starting from File -> New project for both the authorisation server and the client web app. This middleware retrieves the transport security protocol from the proxy headers and restores the real scheme. 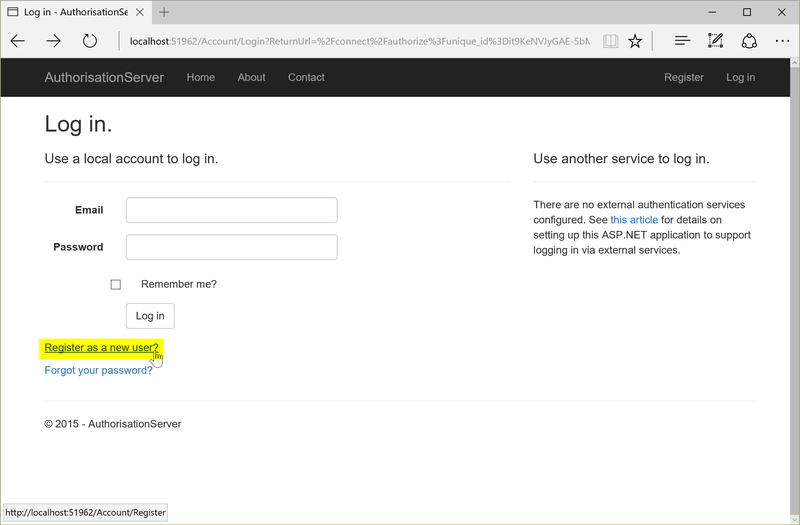 For instance, if you are using IIS and Kestrel, the communication between the two is made without SSL, so the connection is reported as HTTP-only. 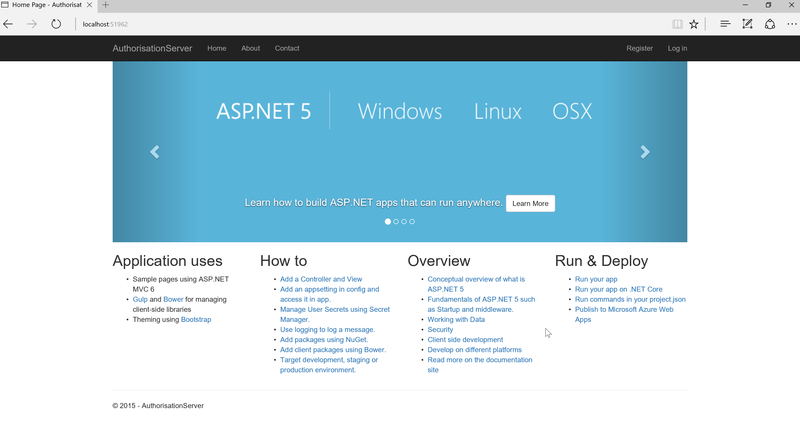 Now, before we go any further, at the time of typing OpenIddict uses the latest nightly builds of ASP.NET. As such we need to update our own code to use the nightly builds. You can refer to my previous blog post on how to achieve this. Make sure you follow the tutorial carefully. Lovely. So far, so Microsoft. Now let’s start adding the OpenIddict stuff. 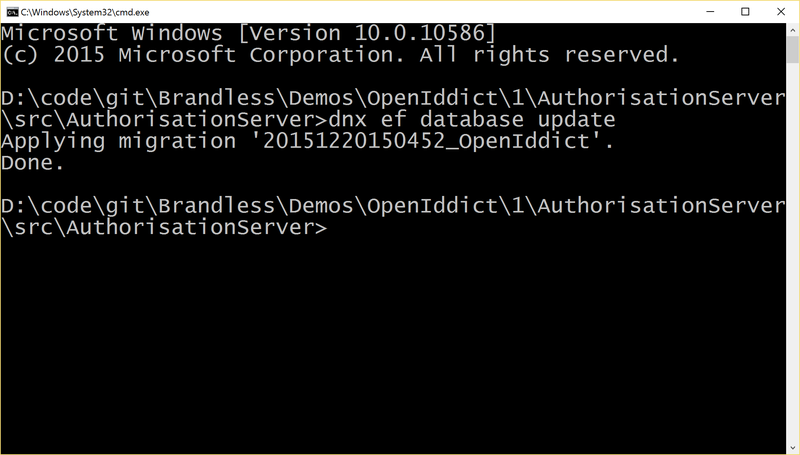 Great, save that and OpenIddict will automagically be installed. Finally time to plug in OpenIddict in the actual code of your new web app. Alright, that’s your authentication server configured for OpenIddict. We haven’t configured any clients in the server yet, we will come back to do that once our client is set up and we know the details we’ll need. Hit Ctrl+F5 again and you should see the same screen as before. Nothing should be different. 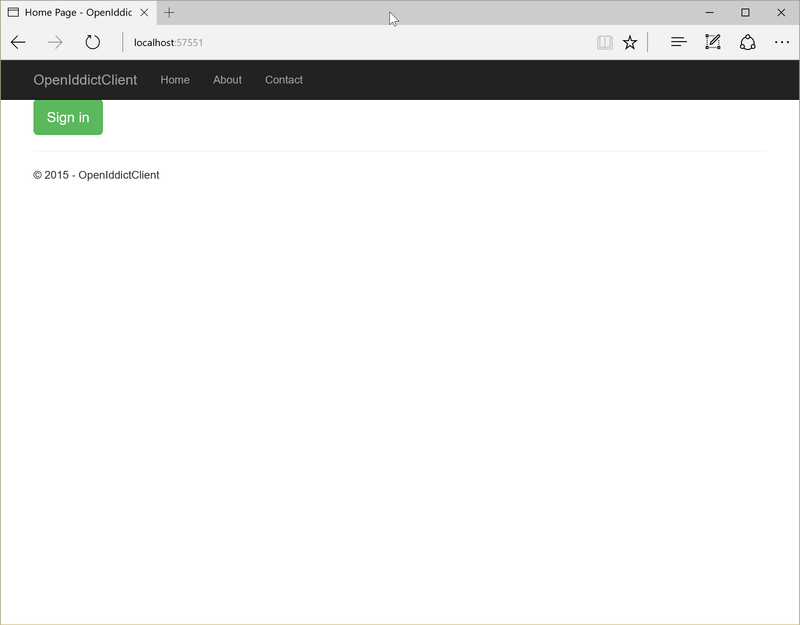 For more details on configuration options with OpenIddict, see Configuration & Options on the OpenIddict github page. What exactly is this code going to do, then? You will now modify your client app so that it will send requests to these endpoints when it wants to sort things out like logging in, logging out, er, logging back in again and so on. The client app is a little more involved. We don’t need the authentication code, because we’ll be “out sourcing” that to our OpenIddict authentication server. 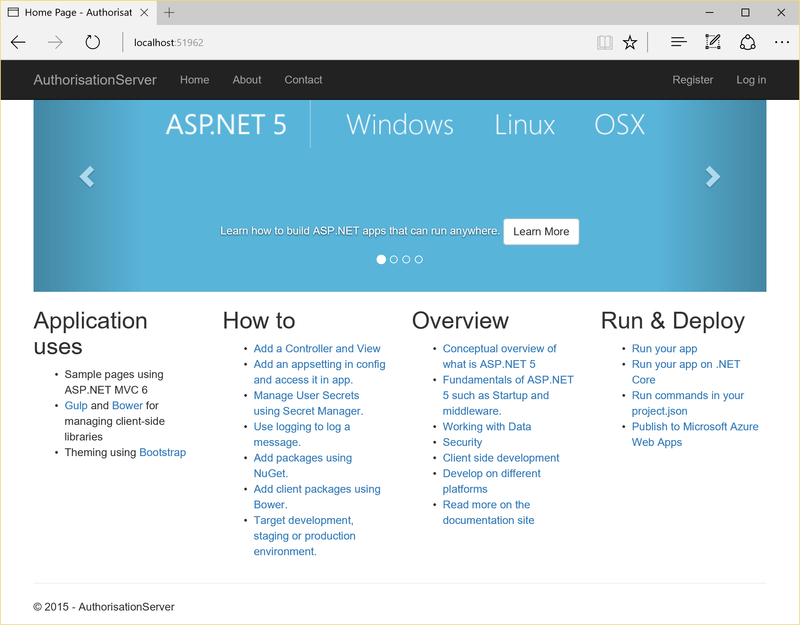 At the time of writing, OpenIddict uses the RC2 nightly builds of ASP.NET 5, so just as we did with the authentication server follow my guide on moving your ASP.NET 5 project to nightly builds. // identity after he has been redirected from the identity provider. // inserted in the database at the server level. // Use the authorization code flow. // the different endpoints URIs or the token validation parameters explicitly. This is just the ID of your client, and it cannot contain spaces. For safety, best to just stick to letters. For now you can just use something like “MyClient”, nice and professinal, like. Again, we’re just getting this up and running so choose anything, but for production apps ensure this is kept absolutely private and is impossible to guess. Best to just use a random guid. // is redirected from the identity provider after a successful authorization flow. 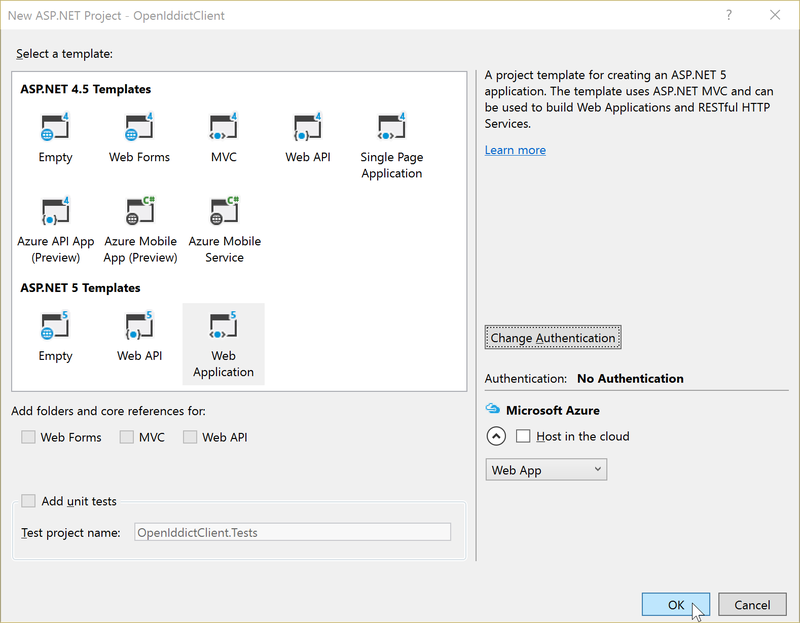 // Instruct the OpenID Connect middleware to redirect the user agent to the identity provider to sign out. The SignOut() method above can be in any controller, because we’ve mapped a specific route, which is the relative route ~/signout to always go to this action. …we need to dip back into our authorisation server to configure our new clientn app. // The following code creates the database and schema if they don't exist. // not yet supported in this release. // when publishing your application. Now open up your AccountController.cs. This next part is a bit of a hack for now, as we need to ensure that the database is created and ready for OpenIddict to use when account stuff happens. 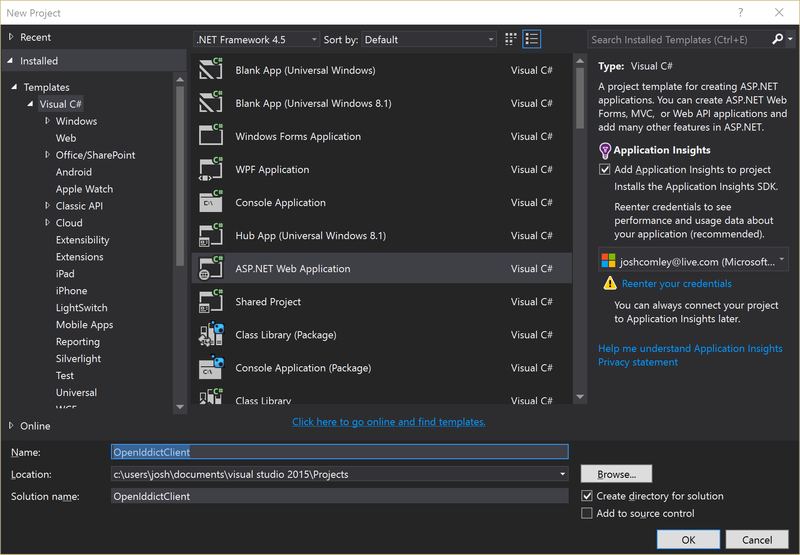 // Add Mvc.Client to the known applications. // MUST be registered as an OAuth2 client and have valid credentials. Again, you’ll need to fill in the variables for YOUR_CLIENT_APP_URL, YOUR_CLIENT_APP_ID and YOUR_CLIENT_APP_SECRET exactly as before. For now, we’re hardcoding seeding our client app into our authorisation server’s database. Later you might want to refactor this out. 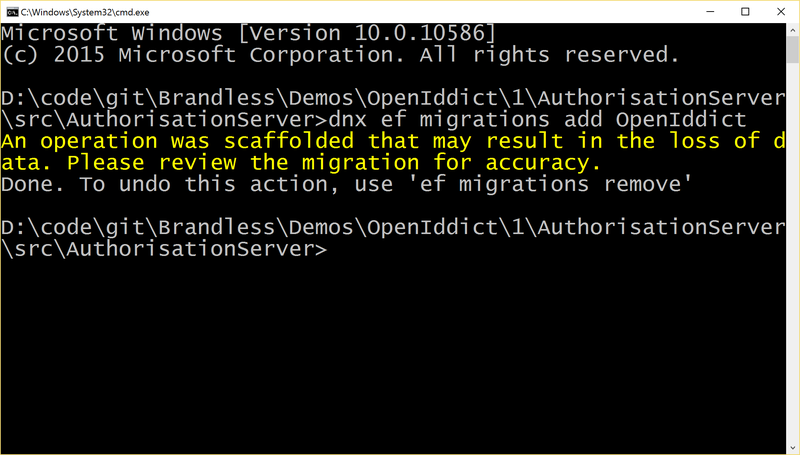 Finally, we’ll need to run migrations on our database to get the OpenIddict tables in there. We need to fix up the auto-generated migration a little. 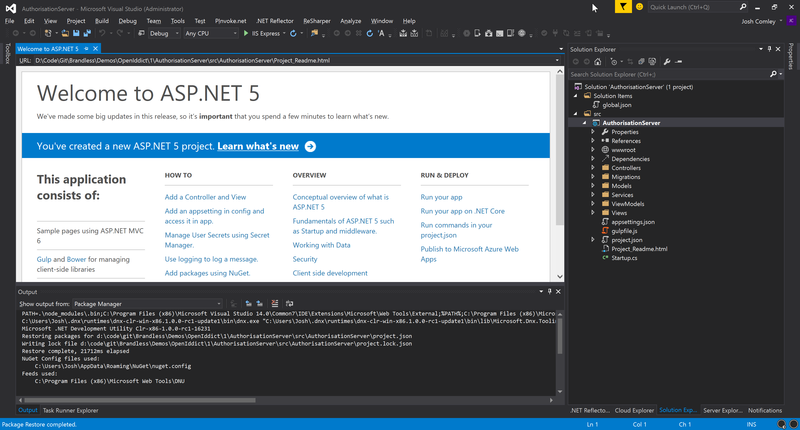 Delete from this migration’s Up(..) and Down(..) methods any entries that reference any AspNetXXX tables. Now be sure to recompile your whole project before the next step, because we’re going to run the migrations, but the migration running code doesn’t compile your project for you, so if you forget you’ll be using the old migrations. We just need to tweak a few things in the authorisation server’s views. As such, as we navigate around the Authorisation App we need to maintain these parameters so that OpenIddict knows what to do when we’re logged in and where to redirect back to. This is no good, because now OpenIddict has lost all the information it needs. Thankfully, this is very simple. For now, in the Authorisation App, open up the following files and update the code as described. Now everything is set up, you should be able to go to your client app, run it, click Sign in, go through the motions of signing in.